It’s worth keeping an eye on Gold Futures this week. 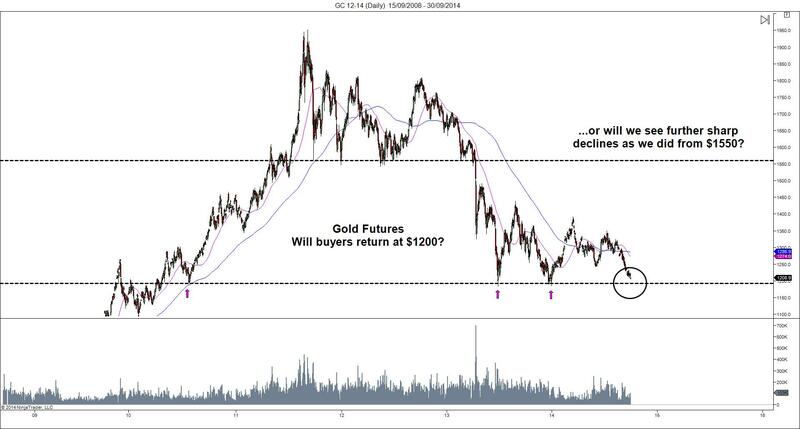 GC is heading closer and closer to the $1200 level, an area where buying support has emerged in the recent past. Will history repeat or will the downwards trend of the last 2 years crack through towards $1000?